"Exhale Worry, Inhale Joy & Peace!" Parents often share as they enter the classroom that they were up late, didn’t get much sleep, haven’t had the best of mornings and need more coffee; but amazingly as they exit, the ambiance is entirely different. 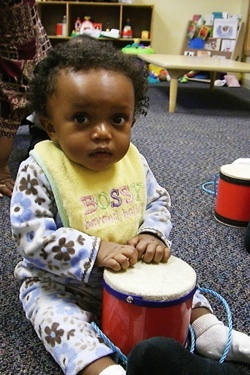 It’s as if, WeJoySing had changed their day and empowered them to play, sing, laugh, love, and learn with your child. Cheryll Pillitteri is one of the mothers who has raved about WeJoySing empowering her to be a more joyful parent. I asked Cheryll to explain, it in her own words, her perspective on being a WeJoySing mama! 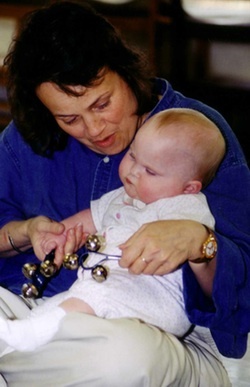 How did you learn about WeJoySing? I was just scrolling through Facebook, and the spouse of a friend who moved to New England a couple years ago shared a photo of a session of WeJoySing with the comment “one of the things we miss most about Columbus,” and something compelled me to reply to her along the lines of “Wow, that’s a big statement!” She assured me that it was a load of great fun that helped her days pass way more peacefully with her kids, and she deeply missed the chance to continue the experience. So, I had to look into it! What encouraged you to sign up? I called and asked a couple questions, and was informed that I could come observe/participate in a trial session that would be free – and if I wanted to register afterward, the fees would be prorated to only include the remaining sessions in the season…This demonstrated that the business side wasn’t about making loads of profit; it was about making huge fans and happy hearts, and as a mom, committing to new things with kids is sometimes scary. Thankfully, the WeJoySing team was nothing but gentle with us! Let's play!! Pull boy, pull low!! How did you feel entering your first observation class? How did you feel leaving it? Gotta say, prior to walking through the door, I was VERY nervous. We’re not really musical people at home, I don’t have the best voice, and I generally feel super awkward in social situations. Not to mention, we were pretty new to this part of town, and I hadn’t really been successful at fitting in to things that the other moms here were so effortless at doing – plus I had an unpredictable 3 year old with me! But during the class, everyone just focused on making the kids happy, and we were sort of basking in the fun of being young and making a loosely coordinated (but joyful) noise. There was a very thoughtful balance of high-energy songs and calm-down songs, and we were still humming the tunes in the car on the way home. I gave a big sigh of relief, and welcomed the priceless opportunity to exhale my worry about the things that didn’t go well that morning or that week and breathe in the peace of seeing happy kids just glow with fun and love… so, obviously, I was hooked. What benefits did you see in your daughter after attending several sessions? 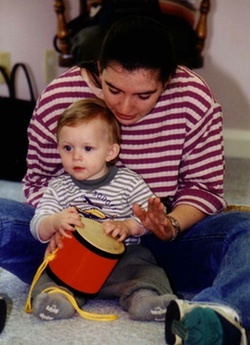 I didn’t even realize we were missing certain things in our life, but I definitely noticed them when they entered – Alice started listening better to adults, engaging with other kids, playing peacefully on her own, and is so much more curious overall about music and lyrics and dancing as ways to learn. I can’t believe she would remember songs after singing them just once! I also believe it came to us right at the timing of a developmental milestone where toddlers start to observe and interact with people (other than mom), and participating in this group activity launched her over that transition like a firework. I know it probably would have come eventually, but WeJoySing really lit the fire of personal connection in her, which was in my heart, the biggest benefit. An example I’ll carry forever is that she remembered one of the boys was too shy to play along with a certain song, and when he finally tried it, she turned to me and said, “yay, he did it!” with genuine support and excitement. If that’s not worth the price of registration, I don’t know what is!!! 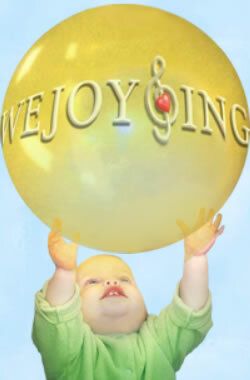 How did WeJoySing benefit you as a parent? Alice is our second child, and it’s painfully true that second kids sometimes get a watered-down version of a weary momma. Going to singing sessions with her helped me show her that there were going to be some things she could do with me while her older brother was off doing his own thing (in our case, kindergarten.) So, it definitely gave me an easy way to do something special and memorable with her. However, the most amazing benefit of WeJoySing to me over some other weekly routine was the toolbox it offered me to rescue our days from a rough sea. Through the power of song, dance, and simple connection, I finally realized that my relationship to my kids was not a one-way street; I was in the habit of giving and doing things for them so much that I hadn’t realized that there are things that they give and do for me. Fresh infusions of fun, joy, love, and perspective is the big shiny gift I won from participating with this program. It might seem out-there, but when I’m feeling depleted or frustrated, I can call on one of the sweet easy songs we learned through WeJoySing, and my daughter will join in and blast that heavy burden away. Major lifesaver. What would you say to other families contemplating WeJoySing? WeJoySing isn’t like rigorous singing lessons – the aim isn’t to turn little darlings into pop idols, but if that’s in the cards for you, it’s not a bad first start, either. For kids who are shy, it’s great; for kids who are NOT shy, it’s also great. For first time parents who need to get out of the house, it’s great; for been-there moms who need to do something with a younger sibling to deepen connection, it’s also great. 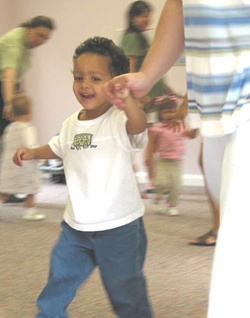 For families who haven’t had a lot of group interactions through preschools or other clubs, it’s such a warm, welcoming and easy way to break that shell. I believe that the world today is gasping for joy, which starts in families, and the tools and methods learned here are as good as any others out there. I feel better equipped to summon joy now than I did before, and for that, I’m eternally grateful!